The earliest pioneers to Kitsap County, drawn by tales from explorers extolling the virtues and bounty of the area, arrived in the late 1850s. Some settled on Donation Land Claims which granted 640 acres to a married man (320 acres to a single man). Later settlers came to working in one of the five major mills and other parts of the timber industry and by the 1860s Kitsap was the richest county per capita in the United States. Many of the loggers and mill hands, drawn to the county by the timber industry soon moved away from the company towns and logging camps to begin to farm. As wide swaths of timber were harvested in the late 1800s and timber interests moved on, large patches of logged-off stumpage were homesteaded. Under the Federal Homestead Act of 1863, any individual could file on 160 acres of government land in open sections, or 80 acres in more favorable areas, for a ten dollar filing fee. After living on the parcel for five years and making improvements, including clearing and starting a farm, the parcel was yours. By the 1930s the now forgotten community of Waterman represented a typical small farming community in Kitsap. 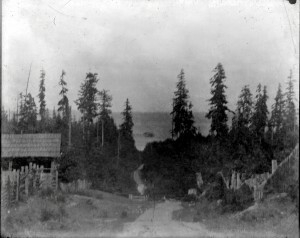 Located in South Kitsap, Waterman was settled by Northern Europeans (Swedes, Norwegians) and situated between Woods Road and the Waterman Lighthouse near what is now Manchester. Made up of small subsistence farms (10-15 acres cleared and tillable) with gardens, milk cows, chickens and hogs, neighbors shared resources and exchanges between friends and extended families were common. For example, Chuck Kimble remembers riding with his father over to a friend’s farm on Baby Doll Road to pick up piglets in spring which were traded for some beef in the fall at slaughter time. Most households had off-farm income, typically work in a mill or at the shipyard, representing both a national and regional trend that continues to this day. I have a Buff Orpington rooster that I need to get rid of. He was thought to be a hen but NO! He is 5 months old and not aggressive except with the hens. He is free. I will not kill or eat him but need to have him out of the hen house due to limited space. Phone 360-871-3407.